Third-party Android lock screens are always at a disadvantage compared to the stock option when you care about security. Some of them do have neat features if all you really want is a quick way to see and access information without unlocking the device. Microsoft Next has some cool stuff going on, and it's getting an update today billed as the biggest it's ever had. Here's what's coming in this apparently huge update. 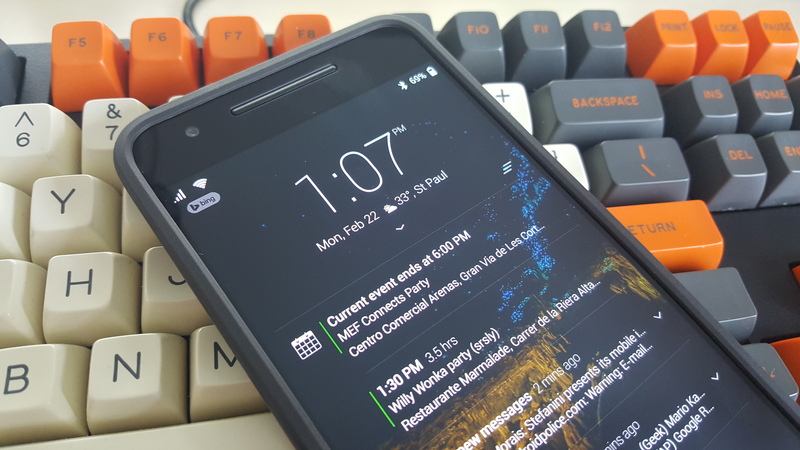 Using a third-party lock screen like Next requires that you turn off the system lock screen, unless you want to unlock twice. Adding fingerprint support and a smart lock equivalent at least makes Next a bit more like the stock experience. Smart Contacts could be a time saver too, assuming it learns the right ones. The update appears to still be live in the Play Store, but it's also on APK Mirror if you prefer to grab it there.